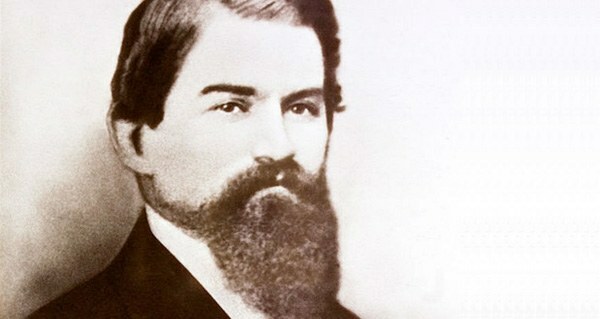 John Pemberton struggled with addiction for much of his life. Somewhere along the way, this addiction spurred invention. Clark stays true to the brand’s message that Coca-Cola wants only to “make the world happier,” but the real motivation behind its creation tells a different story. The birth of Coca-Cola begins in the late 19th century with a man named Dr. John Stith Pemberton, a slave owner who worked in medicine, and fought as a Confederate soldier in the American Civil War. Before John Pemberton served in the Third Georgia Cavalry Battalion, he made his living as a chemist and a pharmacist. Having studied at the Reform Medical College in Macon, Georgia, Pemberton was a licensed practitioner of Thomsonian medicine, which relies on the principles of botany and herbalism to rid the body of harmful toxins. As still happens today, at least among Western cultures, many looked at this form of medical practice with distrust and suspicion. Yet Pemberton still went on to successfully practice his trade before eventually earning a degree in pharmacy at a school in Philadelphia, shortly before the start of the Civil War in 1861. Pemberton’s time in the Army wasn’t without personal tragedy, and at the Battle of Columbus in April 1865, he sustained a saber wound to the chest which nearly killed him. Pemberton survived, but was left to battle a crippling morphine addiction, which caretakers offered to Pemberton as a painkiller to treat his substantial wounds. Relying on the knowledge he had gathered over his professional years, John Pemberton set out in search of a cure for addiction. He began to experiment with various herbs and plants, including the coca leaf, which, as many know by now, is the raw material used in the production of cocaine. By mixing coca leaves, wine, and kola nuts (in case that cocaine didn’t offer a big enough caffeine kick), Pemberton came up with his first beverage, called Pemberton’s French Wine Coca. The drink, advertised as an anti-depressant, a painkiller, and an all-around aphrodisiac, worked to relieve the ails of Pemberton’s opioid addiction and was sold to the public, where it gained almost immediate success. A short 20 years after its formulation, Atlanta County, the area of Georgia that Pemberton and his business enterprise called home, announced that it was prohibiting the production, selling, or buying of alcohol. With the nationwide threat of Prohibition looming, Pemberton sought to protect his interests and removed the alcoholic ingredient from the drink’s recipe in 1886, replacing the wine with a sugary syrup. Working with his longtime friend Willis E. Venable, the pair rebranded the item Coca-Cola, which they would have intended for medicinal use had they not accidentally added carbonated water to the mixture. Instead of scrapping the idea, they marketed the confection as a refreshing soft drink. While Coke would go on to become a global success, its inventor didn’t fare so well. As there is no known cure for addiction, the replacement of morphine with cocaine only provided a temporary reprieve from his condition. His morphine habit returned, an addiction that cost him his life’s savings to feed, as well as his health. Additionally, the sudden rebranding of the medicinal elixir as a soft drink didn’t initially go over so well, which forced Pemberton to sell the rights to his creation to various business partners just to make ends meet. 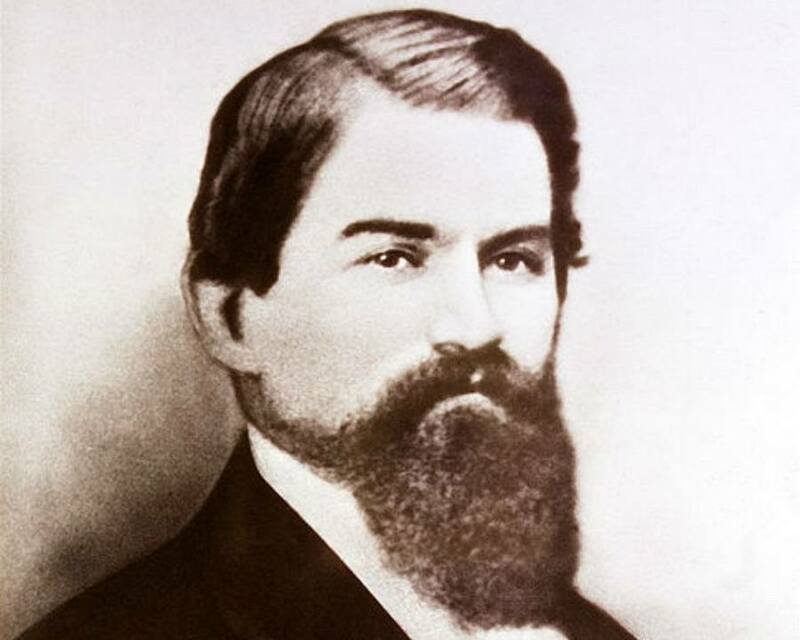 John Pemberton died of stomach cancer in 1888, broke and in the grips of addiction. He left his fortune, which at that time consisted only of his remaining shares in the Coca-Cola company, to his only son, Charles. Charles, a morphine addict himself, would die a mere six years after his father, missing out on the tremendous popularity and success Coca-Cola would see the world over, by several years. Now that you’ve learned the story of John Pemberton, learn about the men who pioneered the world’s most popular fast food restaurants. Then, read up on the secret history of Coca-Cola, from morphine to the invention of Santa Claus and beyond. Can This New Computer Algorithm Solve Murders?